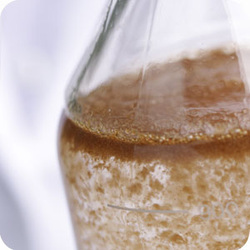 The Sorbwater Technology AS products and processes has through the development of Sorbfloc shown potential universal use in general waste water treatment. It can be used for removal of oil, fat and grease as well as particulate matter in water for most waste waters. It splits chemical as well as mechanical emulsions, works in most pH ranges and in most temperatures. Being approved for drinking water treatment it is accordingly well suited for use in food processing water, industrial and municipal waste water.